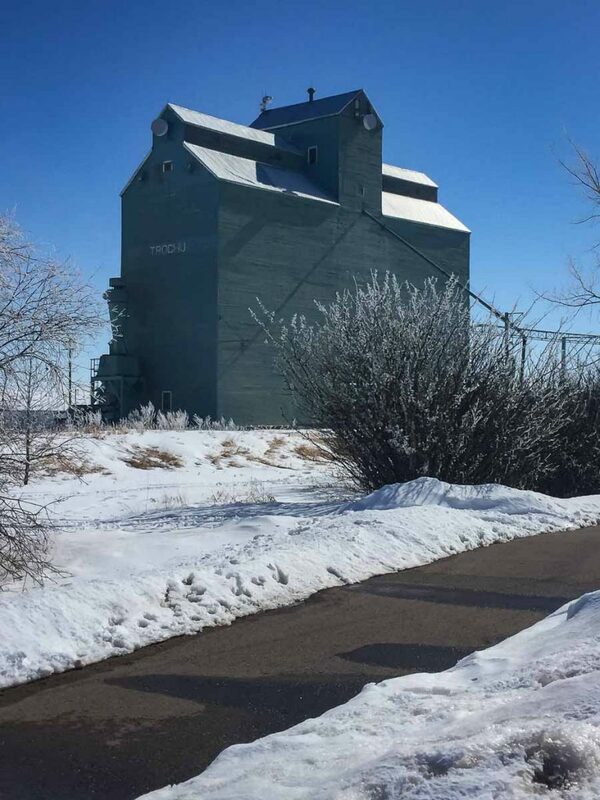 Trochu, AB grain elevator, March 2018. Copyright by BW Bandy. 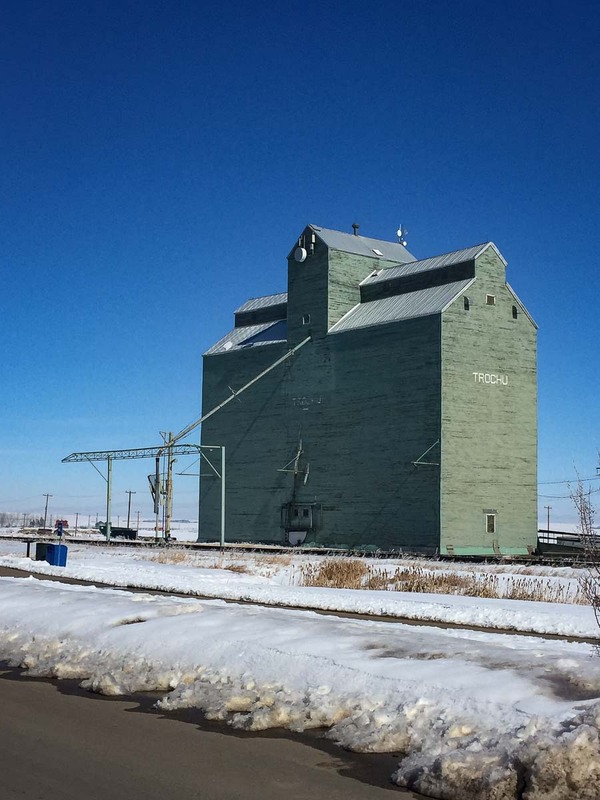 There is one grain elevator in Trochu, Alberta. 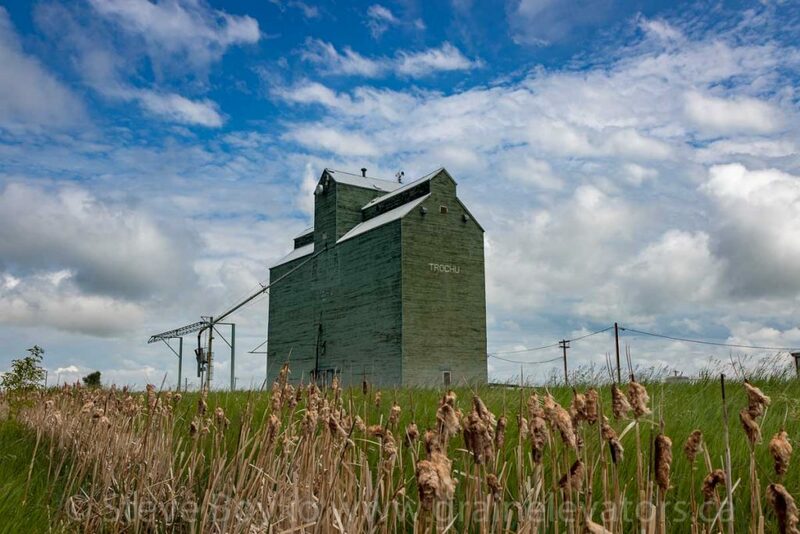 It is an ex Alberta Wheat Pool elevator built in 1973. 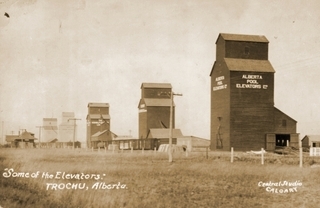 Grain elevators in Trochu, AB. 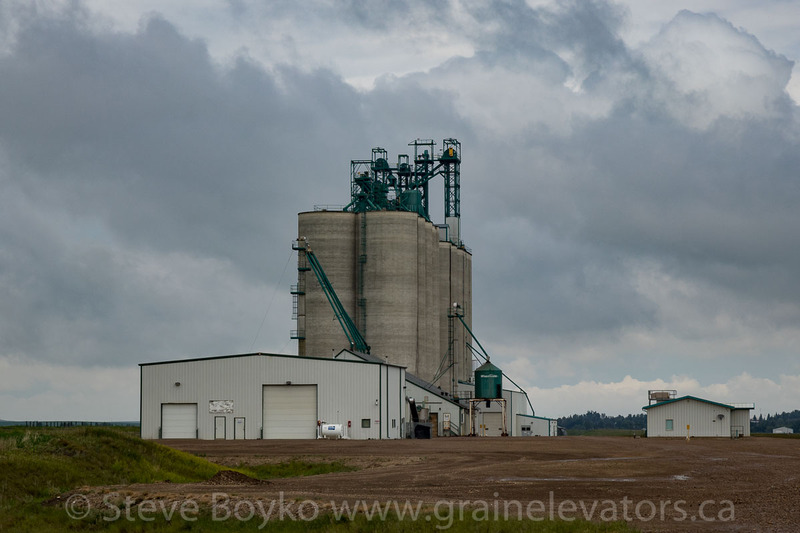 There is a large concrete Viterra grain elevator just outside Trochu. Viterra grain elevator near Trochu, AB, June 2018. Contributed by Steve Boyko.